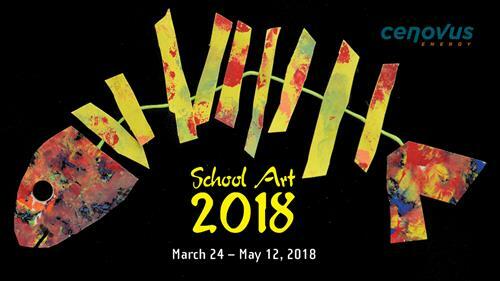 Ignite your sense of wonder with the 2018 School Art exhibition! Full of colour, energy and talent, the exhibition will lift your spirits and keep you enthralled for hours. Our display of the creativity and skill of Medicine Hat and region’s students, from Kindergarten to Grade 12, is a Medicine Hat tradition for the last 40 years. This annual exhibition has grown from 50 works in 1978 to over 700 from 41 schools today. Paintings, drawings, collages, sculptures, ceramics, photographs, animated and live action video – and some works which are beyond categorization – fill the gallery from floor to ceiling and will surely delight and reassure us all about the bright futures of Medicine Hat’s children and youth. Refreshments are courtesy of the Medicine Hat Catholic Board of Education. Presentation materials are courtesy of the Medicine Hat School District #76.